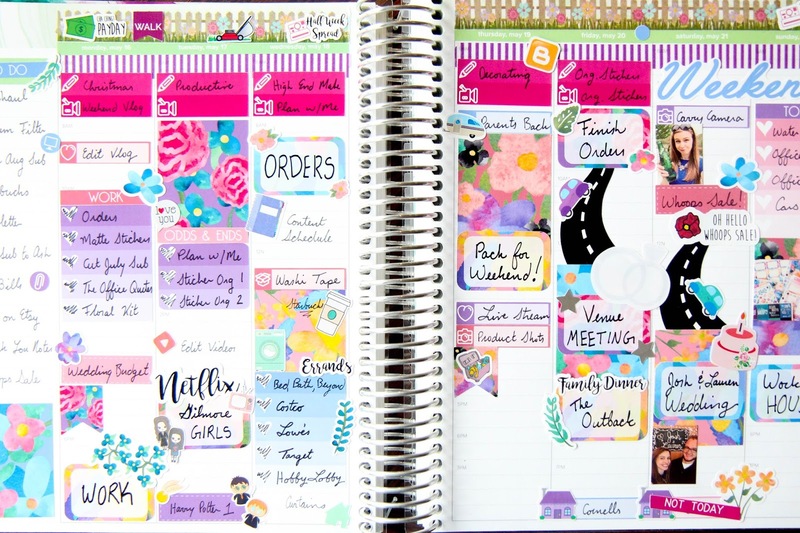 I've been planner decorating for over a year and a half and am still in awe of how much things have changed since I first started putting stickers in my planners. Sure my life itself has changed drastically as well which is always a contributing factor, but I definitely feel like I've finally settled into a style and routine I love. 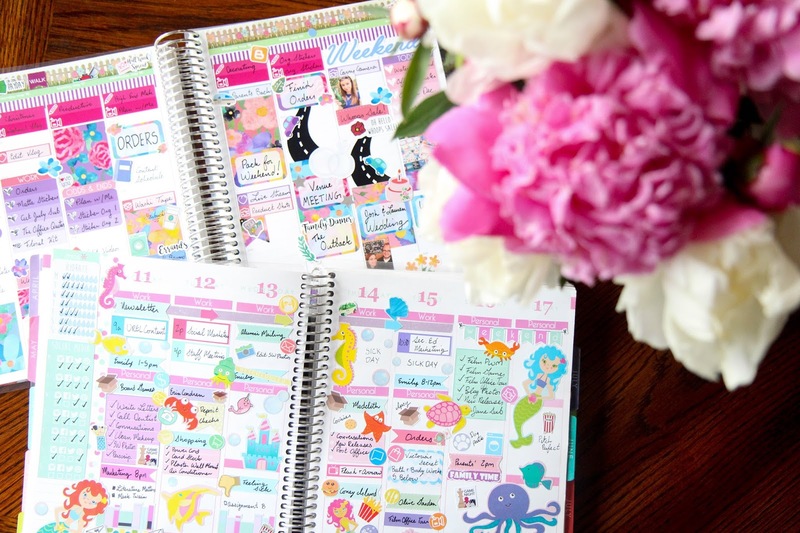 When I first started out, I was obsessed with the Erin Condren Vertical Life Planner. It was as if it was created just for me to find planner peace. It was the perfect format to divide my life up neatly into three categories: work, school, personal. Everything fit so well into those little boxes and I couldn't shut up about how amazing the Darice sticker books are. 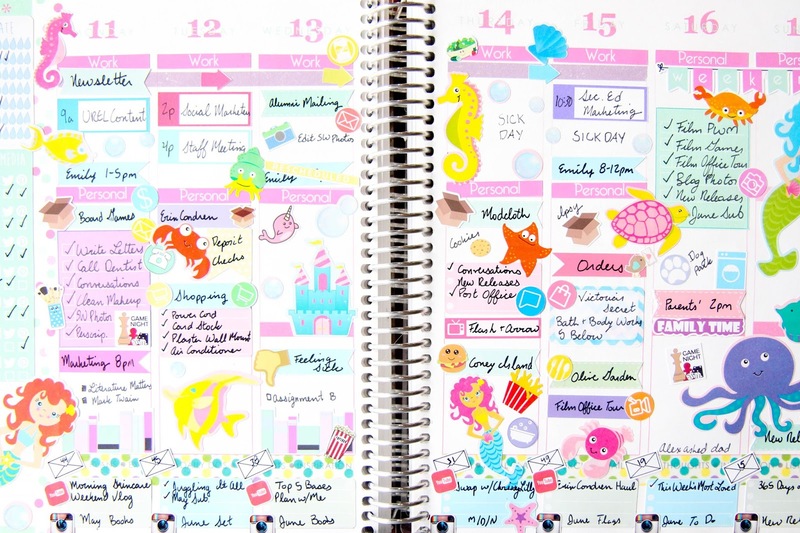 Now I still love the verical layout, but since I work from home everything kind of blends together in a mess of to do lists without a clear, defined category system. My life is more about when I'm going to get things done over what things there are to do. 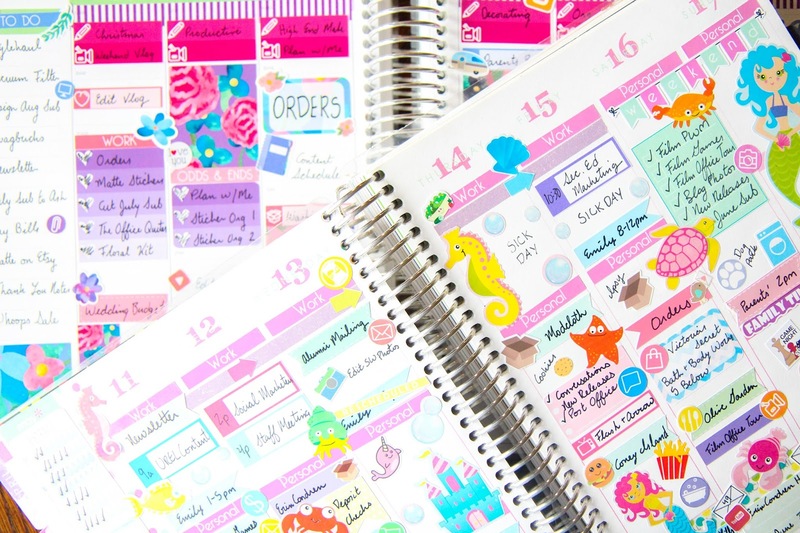 But that's what I love about planning and Erin Condren planners in particular. They adapt and adjust with your lifestyle and there's so many layouts to choose from to suit whatever it is that you do in a day. I know that in the next few years my life will continue to change and morph and so will my planner journey. Soon we'll start having kids and that'll open up a whole world of swim practices and play dates. It's always nice to look back and see where I've come in my planning story, but I can't wait to see where it heads next. So enjoy a side by side comparison of spreads a year a part.